As a natural soil conditioner, earthworm castings encourage germination and plant growth by aeration and water retention. Our 100% pure earthworm castings are not composted, mixed, or diluted in any way, which means you get over 50% more worm castings by volume than in other brands! 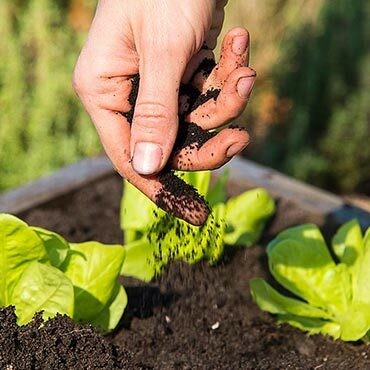 Use it liberally to improve soil beds for vegetables, annuals, perennials, shrubs, and lawns, and it's excellent for covering small seeds like lettuce, carrots, and onions at planting time. It also improves germination, getting young plants off to a strong, healthy start. The dry formulation is easy to use, since it won't "burn" even delicate seedlings. 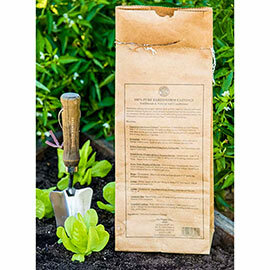 See label for complete use instructions, as it varies by type of plant.